dance.net - Gorgeous Gavin - Bust 35"/Waist 31" (10241599) - Read article: Ballet, Jazz, Modern, Hip Hop, Tap, Irish, Disco, Twirling, Cheer: Photos, Chat, Games, Jobs, Events! Gorgeous Gavin - Bust 35"/Waist 31"
Black sequin Gavin dress for sale. The sleeves are black velvet with black crystals. 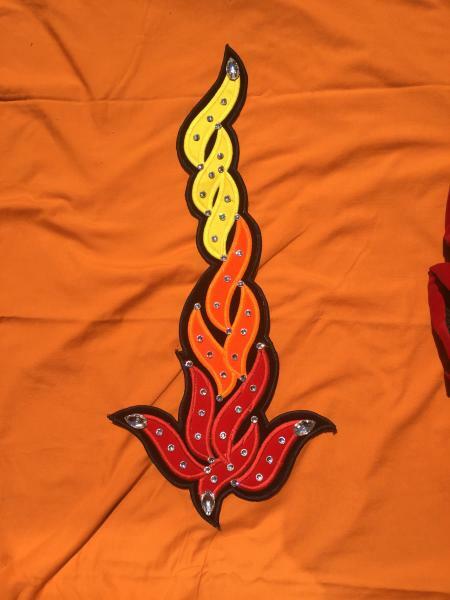 A second set of sleeves with flame applique are included with the sale of the dress. 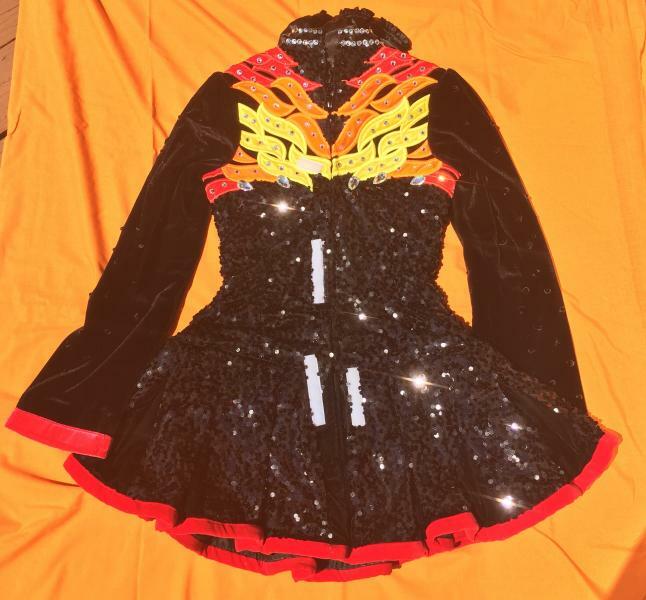 The measurements are of the dress laying flat as the dancer no longer fits in the dress. Shoulder to Shoulder across the back - 15"
Top of Zip to hem (back) - 33"
Bottom of V to hem (front)- 28.5"
There is let down in the skirt. The dress may be taken in as well. 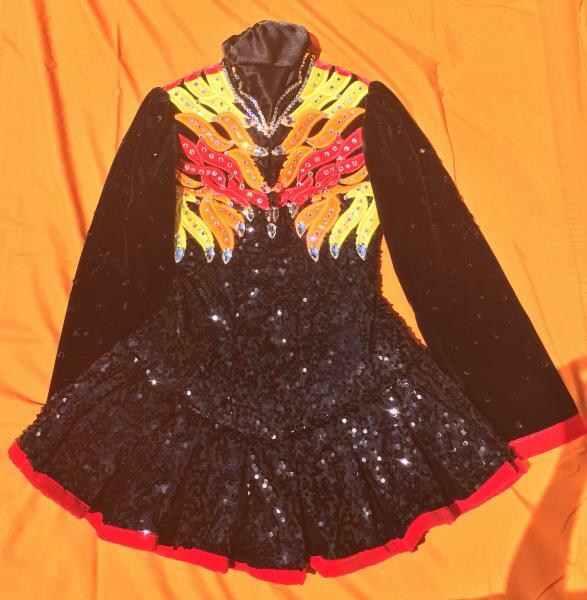 Dress comes with black satin Dance Bling Bloomers and a second set of sleeves. Asking $1100 O.N.O. with buyer to pay shipping costs. You may email or PM with questions. JDawson115 at Gmail dot com.